I went on a different kind of adventure this last weekend. 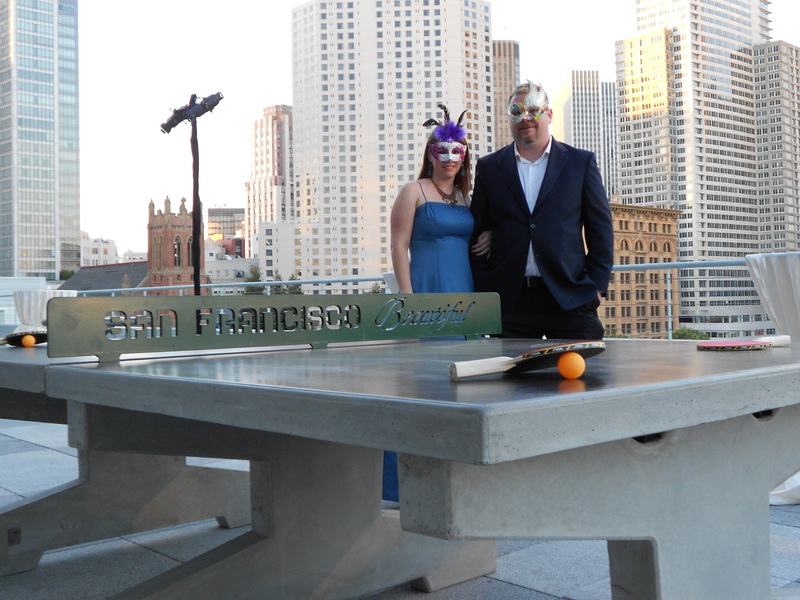 My husband Lem and I took a concrete ping pong table and chess table to San Francisco Beautiful’s 2013 Masquerade Soiree at the Metreon’s City View Event Space. 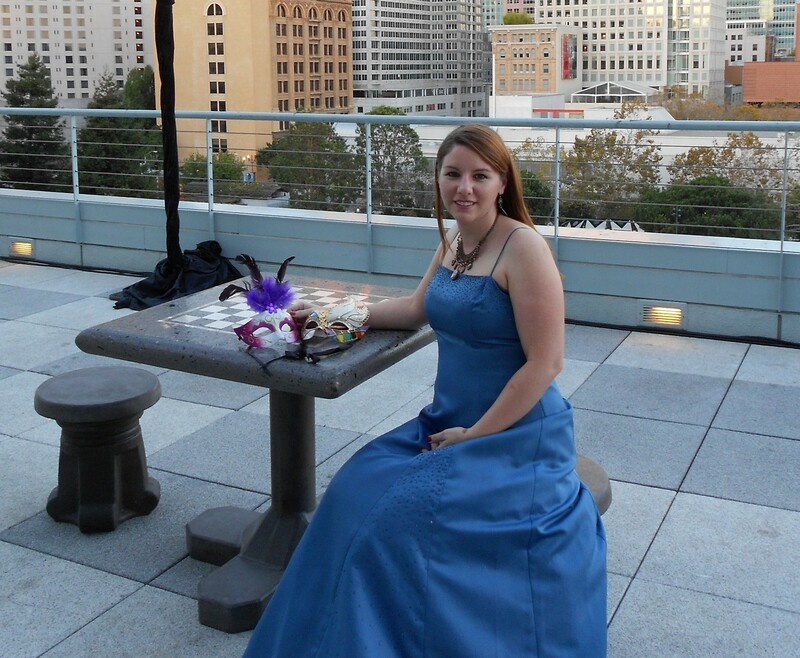 The event helps to fund San Francisco Beautiful and then projects around the city. They were the group that saved the cable cars some years ago. I love delivering tables with Lem and watching the reaction. 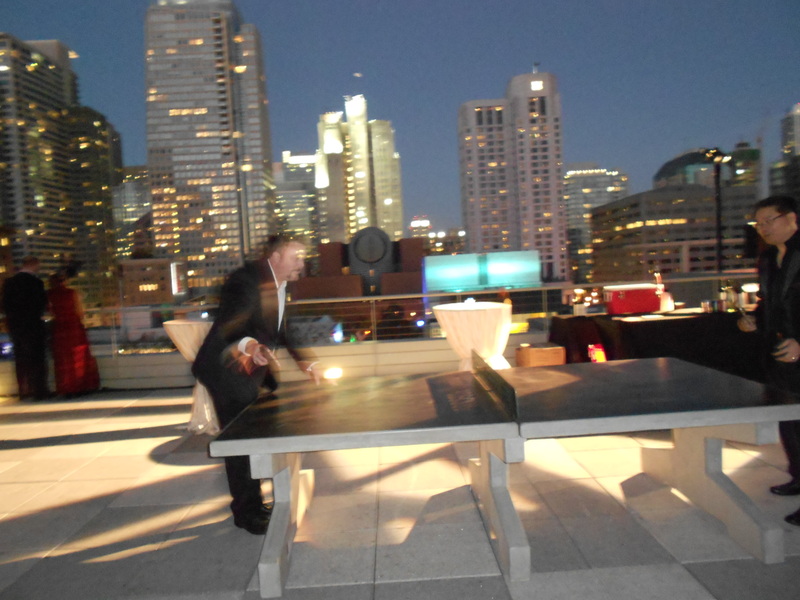 People are always amazed at the quality and beauty of the tables, and they can’t wait to play. The event also had music, food and lots of fun indoors, and people were dressed in some fanciful masks and dresses too. I wanted to share a few photos with you. I’m not a photographer (as you can see!) but this gives you an idea of how the table looked at night. I hadn’t been down past the Redwoods in California for a while, so it was fun to see olive trees, palm trees and the big city. It was also nice to go have fun and keep busy this weekend, and take my mind off of the release day tomorrow for Point Hope. Although, it seems okay to start counting hours now that it’s under a day away! !